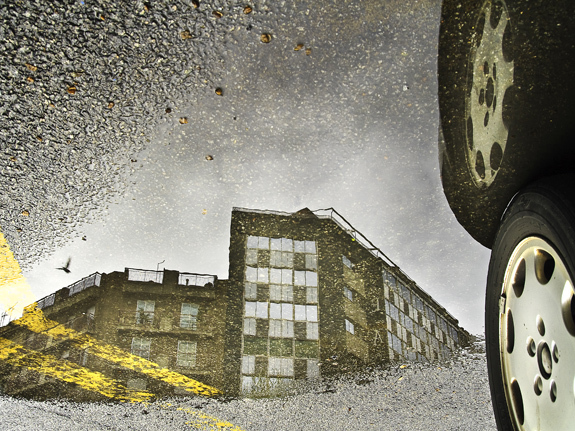 people, vegetation and different objects projected on urban puddles. Facing up to the panoramic touristic tour, sharped and stereotyped, the citizens of the city need to go all over the distorted map of the everyday environment. aimed at dissipation, as is her image on the surface of a puddle.